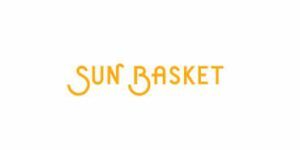 Sun Basket is a well-known meal delivery service with an impeccable reputation. It is currently the highest ranked company on our list of the best meal delivery services in the US. It offers fresh, natural ingredients and creative recipes that allow you to easily plan your meals for the week and have tasty and healthy food on the table in no time. 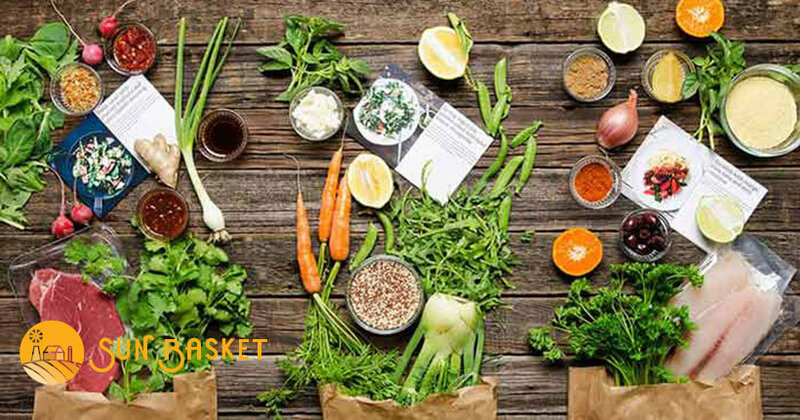 For those of you who are just getting acquainted with Sun Basket, we have created this quick overview that allows you to familiarize yourself with the most important qualities of this popular meal delivery company. As a subscriber, you get to choose the recipes you like the most and have them delivered to your home, along with the ingredients necessary to prepare the meals. The meals usually take around 30 – 40 minutes to make and they are always impressive and sensationally delicious. The recipes are detailed, with every step thoroughly explained, so you do not have to worry about not doing something right. The ingredients are incredibly fresh, sustainably sourced, and organic whenever possible. They are also pre-portioned, so nothing goes to waste. Sun Basket has 2 weekly menus, and 10 distinct meal plans. You can choose between the Classic menu and the Family menu. The Classic menu is designed for 2 or 4 people and allows you to order 3 recipes per week. It features 18 new healthy and creative dinner recipes every week, so you have plenty of options at your disposal. You can choose from the Vegetarian, Vegan, Pescatarian, Mediterranean, Gluten-Free, Paleo, Diabetes-Friendly, Quick & Easy, Lean & Clean, Carb-Conscious, and Chef’s Choice meal plans. In addition to dinners, the menu includes extras such as 5-minute salads, signature sauces and dips, and veggie snacks. You can order as many extras as you wish. 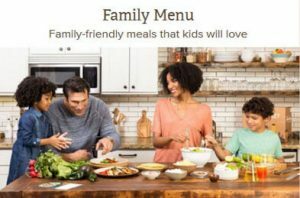 The Family menu is designed for families of 4 and allows you to order 2, 3 or 4 recipes per week (the 3-recipe option is not available in all locations). You can opt for the Chef’s Choice or Vegetarian meal plan and choose from 6 kid-friendly recipes every week. The options include Paleo, vegetarian, diabetes-friendly, gluten-free, soy-free, and dairy-free recipes. With the Classic menu, you pay $11.99 per serving. The Family menu allows you to get your meals for $10.99 per serving. You get free shipping on your first delivery while all subsequent deliveries come with a $6.99 shipping fee. The food you receive comes with a 100% satisfaction guarantee, so if you are not happy with the service, you get a full refund. Sun Basket meal kits are available in 48 US states. The company does not ship to Hawaii, Alaska, and parts of North Dakota, Montana, and New Mexico.